This week we are hosting Pet Week as part of our annual "Camp Mom." We'll be sharing Pet themed crafts and activities all week long! We are also posting as part of a fun series called Craft Closet Boredom Busters. We'll be using simple everyday craft closet materials in our posts this week. Today we are featuring craft sticks! 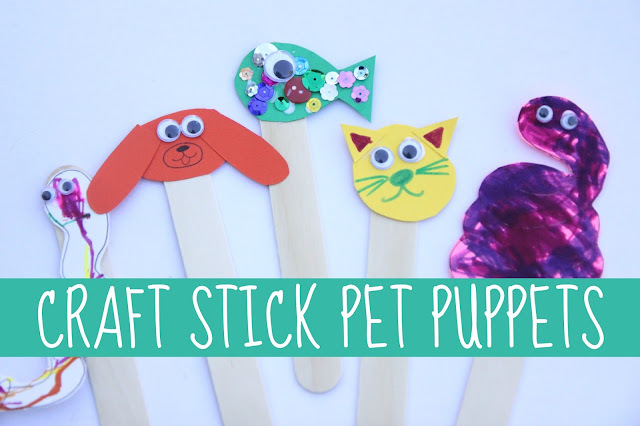 Yesterday we shared a simple paw print matching game and today we are sharing how to make Pet Puppets out of craft sticks! Craft sticks are one of our favorite crafting materials and I think I have over 1000 in our craft cupboard. They are useful for EVERYTHING! Do you see a favorite that you want to make? Once you've decided on your pet then you can get crafting!! Preschoolers and older kids can draw and cut out their favorite animals and toddlers can have their parent draw and cut out their favorite animals and then they can decorate them and add googly eyes. Once your favorite animal is done, attach it to a craft stick using tape or glue and you are ready to play!! We had fun all working together to make these puppets! I even joined in! My kids were especially excited about making snakes and adding sequins to make the fish sparkly. You can even make a simple box puppet theater with your kids and put on shows for one another. Puppets are such a fun way to help kids develop language and work on turn taking skills. 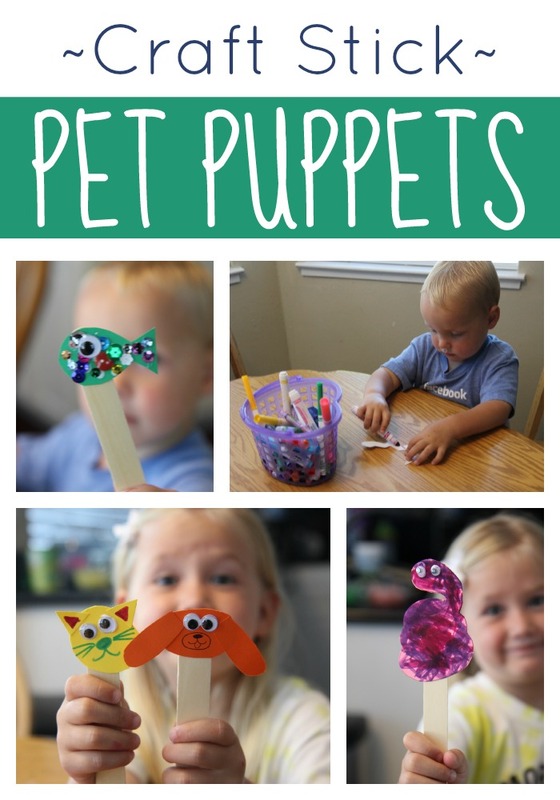 You can even read your favorite pet themed children's book and retell/dramatize it using your craft stick puppets! If you try out this activity and make a cute pet puppet, pop over to our Toddler Approved Facebook page and come share it on my Facebook wall! I want to see it. You can find all Pet Week posts HERE. 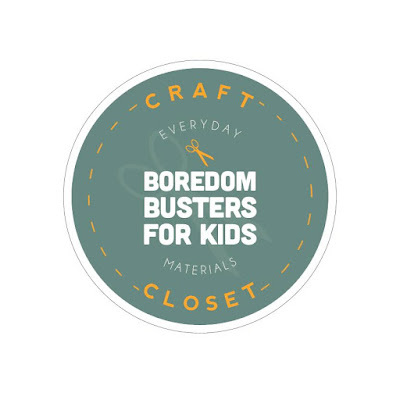 This post is our first installment in our Craft Closet Boredom Busters series! Be sure to stop by the Craft Closet Boredom Busters landing page for the rest of the posts shared this week.